From time to time we can help our patients extend the lifespan of an indirect restoration. Today was one of those days. On a lower left first molar all ceramic crown a patient presented with a marginal discrepancy on the buccal. The gap had begun to pick up stain and a very minor amount of decay. Fortunately for the patient the lesion did not extend under the all ceramic material and was confined to the buccal and did not go past the MB line angle so was easy to access. Based on the clinical situation I shared with the patient the ultimate need to replace the restoration and the option for :extending” it’s lifespan a short amount by repairing the margin. Without any anesthetic I used air abrasion with 50 micron aluminum oxide to just open up the margin, remove the stain and any decalcified tooth structure. 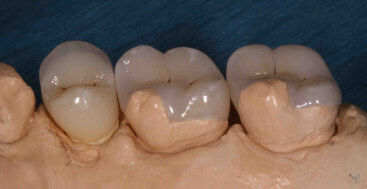 The interface of the ceramic material was treated with a porcelain conditioner called Monobond Plus by Ivoclar Vivadent. The tooth is etched with phosphoric acid and then dentin adhesive is applied. 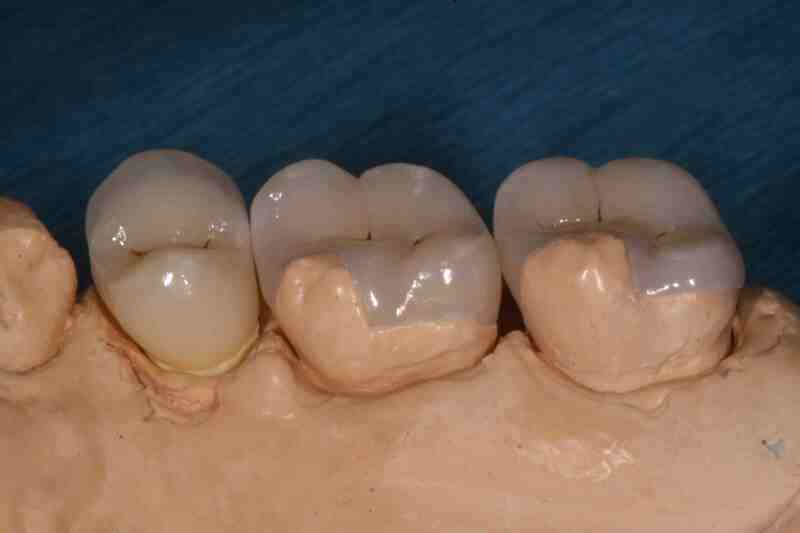 My preference for these small margin repairs is to use a flowable type composite with a higher filler volume. The flowable works due to it’s lower viscosity and ability to be teased into the marginal gap. Because the material is not being placed in an area of occlusal load the wear and fracture resistance of the composite is not an issue. Once cured I finish the composite with a brownie silicone point and polish. One of the most important pieces of this procedure is creating realistic expectations for the patient about the durability and the need to replace the indirect restoration sooner versus later.